the result is some of the lightest eyewear in the world. Playing to its strengths of glamour, color and innovative design – FYSH UK launches 7 new styles for Spring 2017. Drawing inspiration from the latest eyewear and fashion trends, the new collection is the perfect fit for today’s confident, on-the-go woman. With intricate patterns designed to highlight each woman’s femininity, the collection mixes the hottest fashion runway looks with bright colors that reflect the Pantone trends for the season. 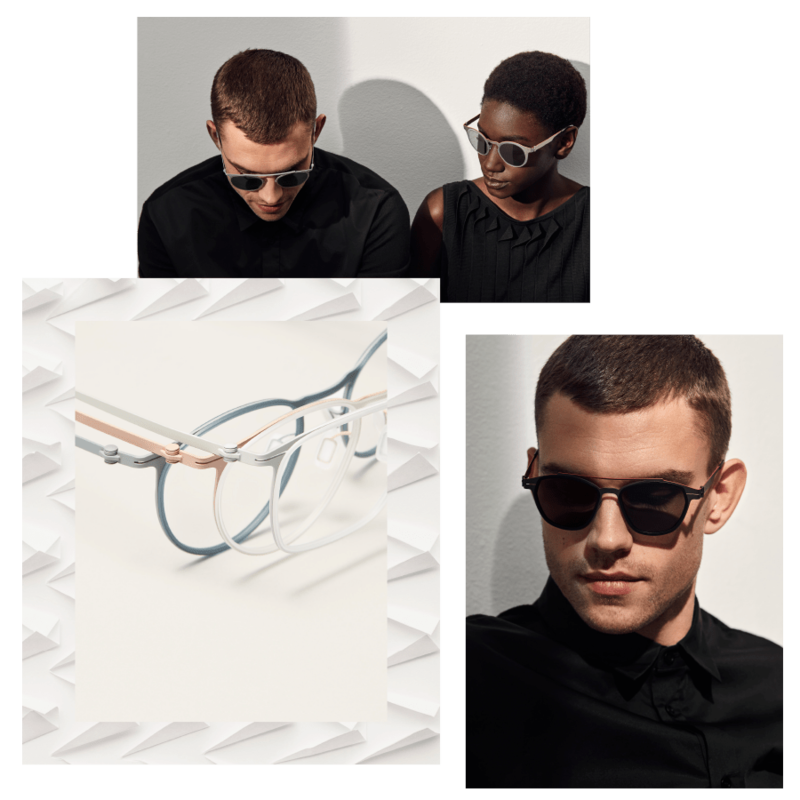 Innovative materials and finishes add an additional touch of refinement to these unique frames. An explosion of exotic patterns is shown on FYSH UK models F-3572 and F-3573. F-3572 is a modified cat eye shape constructed from a triple laminate Mazzucchelli acetate featuring a solid leopard print pattern on the front and the temples. Coupled with feline inspired color options – Brown Leopard, Blue Leopard, Grey Leopard and Red Leopard – this bold motif creates a fiercely feminine and on-trend look. A laser etched tropical print on the front and the temples gives a fresh and intriguing edge to the stainless steel of frame F-3573. A bright, punchy color palette including Navy Turquoise, Orange Cider, Shadow Grey and Violet Purple makes this flattering modified rectangular shape the perfect accessory for the spring season. Made of high gloss marble inspired acetate, F-3574 is an extremely polished and modern frame. Featuring OBE UNO 90-degree hinges and available in a rich yet extremely wearable color palette of Grey Marble, Turquoise Marble, Black Marble and Caramel Marble, model F-3574 is the true expression of elegance. Constructed with translucent handcrafted acetate and inspired by the watercolor trend seen on Spring 2017 runways, model F-3575 is the latest optical addition to the popular Links collection. The brow line of this rounded square shape with a soft upsweep is embellished with a delicate chain link metal inlay that adds an interesting and stylish design element. F-3575 is available in Red Smoke, Purple Smoke, Blue Smoke and Emerald Smoke. Model F-3576 showcases a two-tone intricate temple pattern that is inspired by the interwoven laces of gladiator sandals, a timeless trend in womenswear. This stainless steel frame is available in cheeky hues of Brown Emerald, Ink Turquoise, Purple Coral and Black Gold. F-3577 is a flirty stainless steel frame with a modified cat eye shape that won’t go unnoticed thanks to the unique organic pattern achieved through a digital pad print process and the laser cut detail across the brow bar ending in an open end piece. Available colors include Purple Violet, Teal Turquoise, Black Raspberry and Storm Grey. It’s a romantic throwback to 90’s styling with model F-3578. The oversized proportions of this round shape offer an interesting twist on the classic round shape. A bohemian inspired paisley pattern is laser cut into the front and the temples of this stainless steel frame for a gentle contemporary look. F-3578 is available in Brown, Purple, Forest and Black. and bestselling collections to Milan. Milano, February 2017 – ClearVision Optical is pleased to announce its return to the international MIDO eyewear show with a variety of new products for the Global Eyewear Market. Steve Madden. The first European launch of this exciting brand will excite todays Global Millennials. The Madden brand features new design elements, materials and techniques resulting in a colorful new collection. 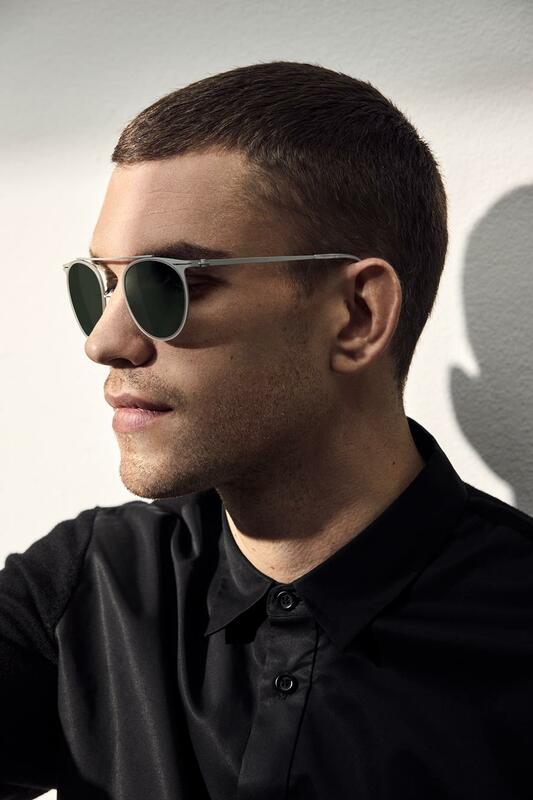 The initial product offering included men’s, women’s and children’s collections in optical and sun. BluTech Eyewear. Fashion meets function with the complete frame and lens solution that filters harmful Blue Light. BluTech frames utilize the patented BluTech Lens–the leader in Blue filtration lenses. Useful for helping to alleviate digital eye strain, sleepless nights, and additional eye health issues associated with blue light. Dilli Dalli Eyewear. An acclaimed pediatric collection that utilizes incredibly flexible and hypoallergenic materials. ClearVision , the leader in children’s eyewear, has created a number of unique marketing items to support this brand, such as a storybook and a mobile game. ClearVision Optical’s continuing relevance in the ever-competitive North American eyewear market is a testament to the company’s ability to innovate and service their customers effectively. The company has long term plans to increase its visibility at MIDO and other international shows.